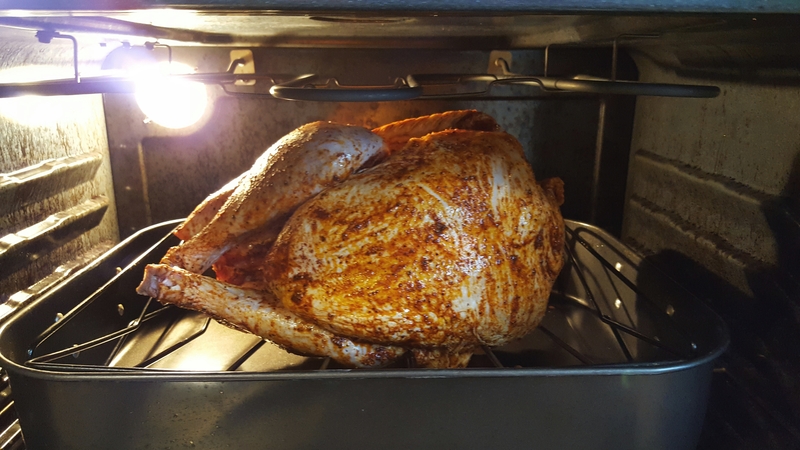 Yes, it’s true…you can have a perfect turkey in just two hours! And, I’m not talking small turkey, I’m talking big enough to feed the family turkey! I’ll be totally up-front that the origins of this recipe are unknown, and I am in no way taking credit for this recipe, or claiming it as my own. That’s not stopping me from sharing it though because frankly it’s brilliant! I’ve done the turkey two years in a row. 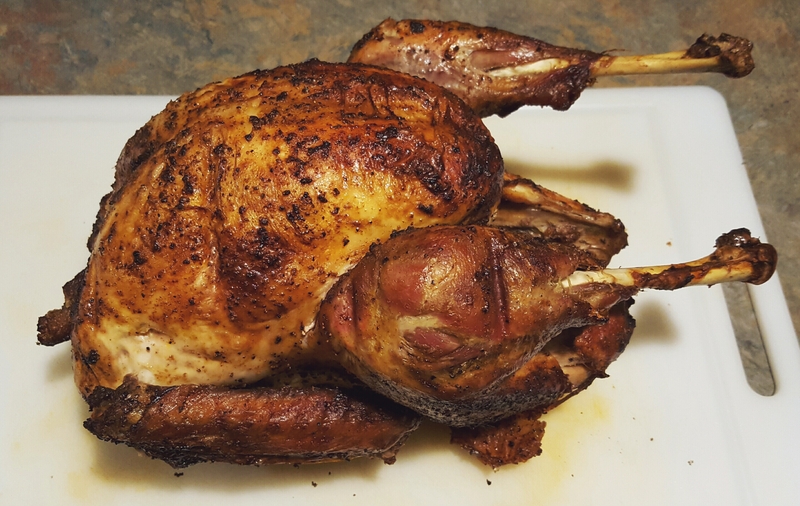 Last year it was the biggest bird I could find, and this year it was smaller, like 10 to 12 lbs (we are visiting out of town family and not cooking the turkey this year so I decided to do my turkey early this year for girls movie night last weekend), and both birds were done to perfection! Here’s what I love most about this process…it leaves me free to do whatever I want Thanksgiving morning (hello turkey trot…finally I can race on turkey day! ), and it’s so quick and easy that turkey is no longer an ordeal only worth going through for Holiday’s. Any afternoon you have two hours can become turkey day!